My in-play pick, Matthew Fitzpatrick, was matched at just [2.5] this morning when it looked highly likely that he'd put up a stern challenge to halfway leader, Aaron Rai, but he finished his third round tardily and he'll go into tomorrow's fourth and final round in a tie for second alongside second favourite, Tommy Fleetwood, and fully six adrift. Rai is the 16th player to lead a European Tour event by six with a round to go since 1996 and only two of the previous 15 were beaten. Martin Kaymer at the Abu Dhabi Championship (actually led by ten during the fourth round!) and Darren Clarke at the European Open. Rai is currently trading at around [1.45] and whether he goes on to convert or not, that's simply too big. I'm not a long odds-on backer so I'm leaving him alone but I have absolutely no desire to take him on at that price. I know he has a couple of class acts on his tail and that he's attempting to win his first European Tour title but six strokes is a huge margin and I fully expect him to get the job done. Belgium lead the World Cup of Golf by almost as many strokes and they're only a fraction longer in price, at around [1.48], but they look much more vulnerable than Rai does in Hong Kong and I was mildly tempted to take them on. We're back to foursomes tomorrow and under that format, if one of the two Belgian players has an off today, strokes can soon be frittered away. They also have three teams five strokes back and three teams six back, including the tournament's first and second favourites before the off - Australia and England. It's highly likely that one of those six teams will have a good day so Belgium can't afford a bad one. In short, they look a fair price to me but of the two long odds-on favourites, Rai looks much the better priced. I'll be back on Monday with the De-brief. It was all change at the World Cup of Golf Down Under as bad weather blew in and the course became almost unplayable with lying water a real issue. The home challenge faltered badly and the pre-event favourites, Australia, now trail the leaders Korea and Belgium by four strokes going in to the weekend. My sole selection, Mexico, are now just three adrift as they coped better than most in the wind and the rain today so having given up on them after round one, I appear to be back in the game. I simply haven't watched enough of the tournament to get involved and with the format flicking back to four balls tomorrow we can expect much change again if the weather behaves and I'm happy to continue sitting on my hands. Over at the Honma Hong Kong Open, a sensational second round 61 by Wolverhampton's Aaron Rai has seen the 23-year-old shoot four clear of Korean Hyo-Won Park, who himself shot 62. Here's the halfway leaderboard with prices to back at 11:15. Rai is the 20th player to hold a clear lead going in to the weekend at Fanling since 1996 and he's looking to become only the sixth to successfully convert. He is however, only the second man to be leading by such a wide margin. Robert Karlsson also led by four in 2007, and he still led by four after the third round, but he eventually lost by a stroke, finishing tied for second alongside K.J Choi and Thongchai Jaidee, with Miguel Angel Jimenez taking the second of his four titles. He may have a sizable lead but what limited evidence we have suggests it's far from easy to convert from the front here. Rafa Cabrera-Bello led by three at this stage two years ago but finished second to Sam Brazel and Richard McEvoy finished 15th after he'd led by three through 36 holes in 2003. Rai's closest challenger, Hyo-Won Park, has been in great form in his homeland, regularly placing before winning three weeks ago. I confess to knowing next to nothing about the world number 265 but with hindsight, given his fairly lofty ranking (in the context of this field) and his decent recent form, it's perhaps surprising that he was matched before the off at [1000.0]. Whether he can back up today's low round is debatable though and the same applies to the leader so the one I like at this stage is the rock-solid Sheffield lad, Matthew Fitzpatrick, who could well be inspired by the success of fellow Sheffielder, Danny Willett, last week in Dubai. This track suits Fitzpatrick perfectly and he's not afraid to win, as he showed at Crans recently when he successfully defended the European Masters. 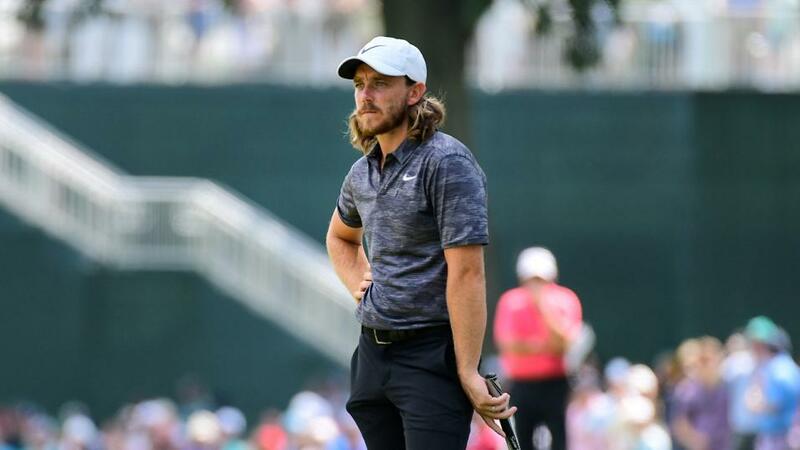 If Rai is going to wobble, Fitzpatrick is perfectly poised to take advantage and with a tired Tommy Fleetwood the other most likely challenger, two strokes adrift of Fitzpatrick, I was happy to take a chance at [6.6] as they finished up today. Sky Sports have decided that they are now going to show The Match between Tiger Woods and Phil Mickelson this evening (market here) so if that something you're interested in, Dave Tindall has looked at it here. I've promised the kids a movie night tonight so I won't get to see it but I can't say I'm remotely bothered. The whole thing's a bit grotesque and ten years too late anyway. Apologies, but I'm leaving early tomorrow to go to the West Ham v Manchester City match and I won't be back until late so my next update will be very late tomorrow night. Favourite backers are on good terms with themselves Down Under given that the pre-event favourites, Australia, and the second-favourites, England, sit atop of the leaderboard alongside Korea on -10 after the opening round of the World Cup of Golf. My speculative punt on Mexico looks to have gone astray already (they shot -5) and I'm going to leave the event alone for now. I didn't see a single stroke of the opening day's play and I have no intention of getting up in the early hours to see how round two develops so I'm more than happy to take another look at the halfway stage. Over at the Honma Hong Kong Open, I played a plethora of longshots with the shortest priced being Matthias Schwab. I quite fancied the Austrian's chances and when I woke up in the night and took a peek at the leaderboard he was sat in a tied for third with two holes to play and the scoring was clearly tough as only a handful of players were below par. By the time I got up, he' finished his round, bogeyed his penultimate hole (the ninth) and he'd dropped like a stone on the leaderboard! The troublesome winds that had badgered the morning starters dropped and then virtually disappeared as the day wore on and the afternoon starters finished up being advantaged to the tune of 2.76 strokes! The forecast suggests tomorrow's early starters will encounter fractionally windier conditions than the latter starters but they won't suffer anywhere near as much as today's morning starters and anyone drawn late-early looks to have caught a break. History suggests we can't go scanning too far down the early leaderboard. Miguel Angel Jimenez, in 2013, opened up with 70 to sit tied for 44th and he's the only winner this century not to shoot a round in the 60s on day one and he's one of only two winners in the last 12 years not to be within three of the lead after the opening day. The other was Ian Poulter in 2010 but he shot 60 in round two to go from five back to one in front. Young Englishman, Jack Singh Brar, who won on the Challenge Tour as recently as September, ranked number one for both Greens In Regulation and Scrambling in round one and I thought he was a fraction big at [34.0] given he trails by just a solitary stroke.